The picture above shows one pound of Australian Opossum scrap fur. These are mostly tail pieces. 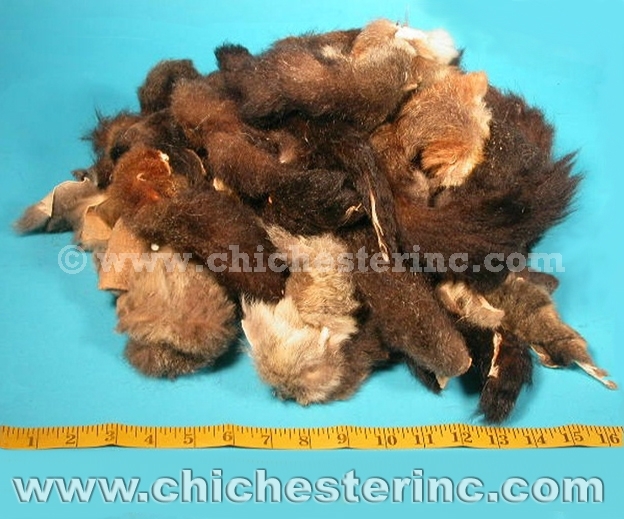 This fur varies in size because it is the scrap left over from other products made with opossum fur. The scrap comes in various shades of natural brown (i.e., not dyed). We cannot guarantee matching colors or sizes throughout an order. Genus and species: Trichosurus vulpecula. Australian opossum are not an endangered species. Click HERE for Australian Opossum skins.